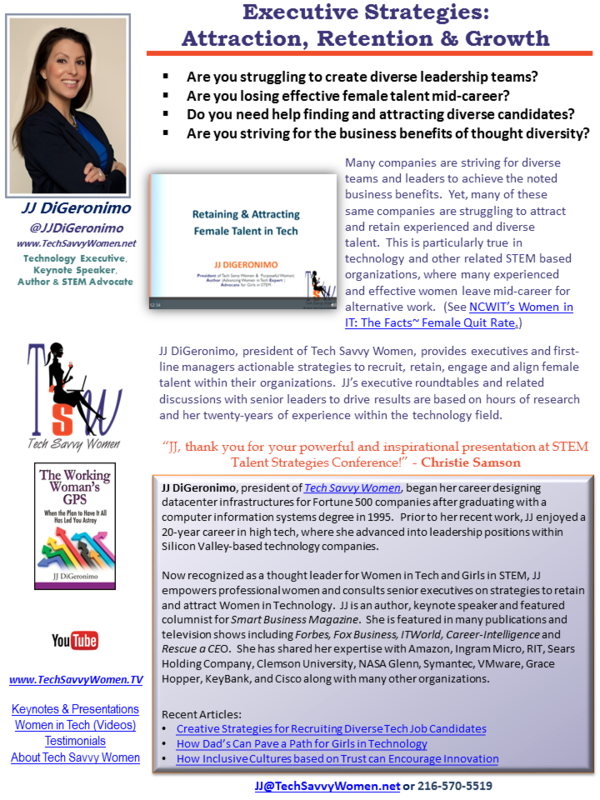 Many companies are striving for diverse teams and leaders to achieve the noted business benefits. Yet, many of these same companies are struggling to attract and retain experienced and diverse talent. This is particularly true in technology and other related STEM-based organizations, where many experienced and effective women leave mid-career for alternative work. 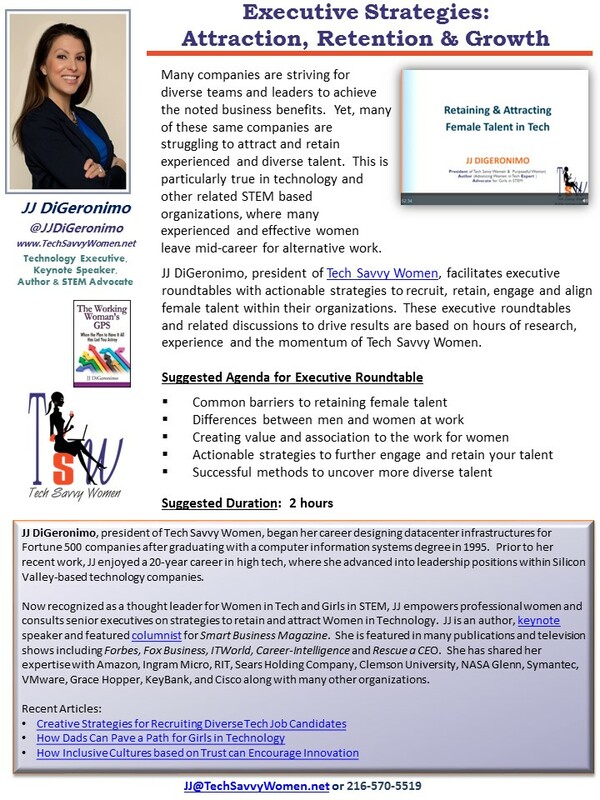 JJ DiGeronimo, president of Tech Savvy Women, facilitates executive roundtables with actionable strategies to recruit, retain, engage and align female talent within their organizations. These executive roundtables and related discussions to drive results are based on hours of research, experience and the momentum of Tech Savvy Women.